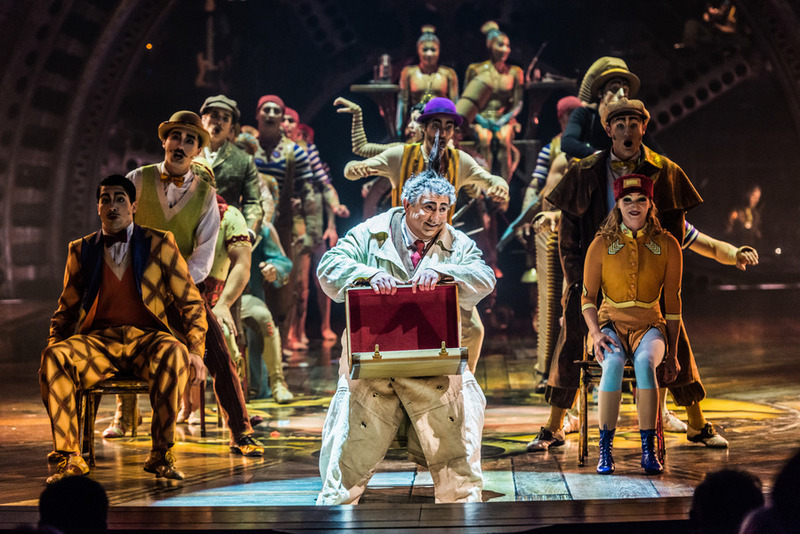 Last night I went to one of *the best* Cirque du Soleil shows I have ever been to. Over the last few years, it has felt a bit like Cirque has changed their format with the highly narrative Amaluna and then that bloody awful Toruk crap, but with Kurios, it feels like they have come back to their creative roots with a show that is a synthesis of various circus styles with a very cool late 19thC steampunk theme. The show is based on a character called The Seeker who is trying to invent a time-machine that can travel between dimensions to a place where the impossible and the possible can meet. The other main characters are Nico the Accordion Man, Mr Microcosmos who embodies technological advancements, and Klara the Telegraph of the Invisible who can pick up alpha waves with her hoop skirt (pictured below). The characters are as engaging as the music is beguiling – the main vocal performance by Sophie Guay is a funky jazz, blended with some sort of electro-swing (?) sort of thing that runs through the whole show. She literally sings for the entire show and gives an amazing performance. 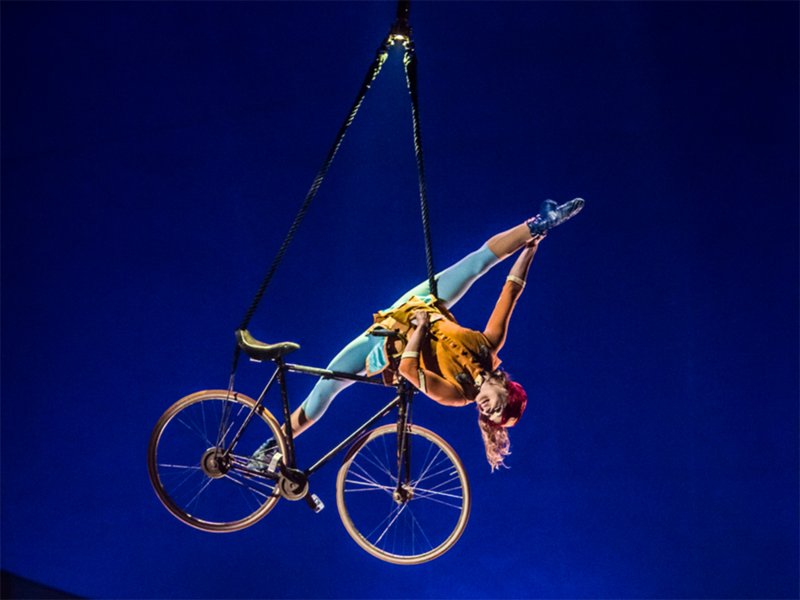 The various acts are what we have come to expect (read: love and enjoy), from Cirque. 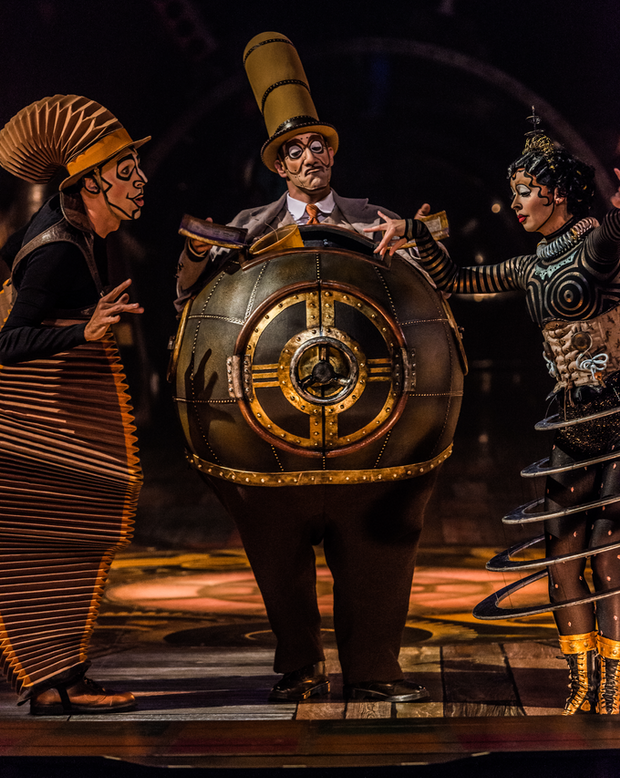 A series of vignettes in the steampunk theme that follow the explorations of the Seeker expressed in creative aerial performances and acrobatics, all with immaculately timed and choreographed dances, visually stunning costumes, wild makeup and an amazing array of props. 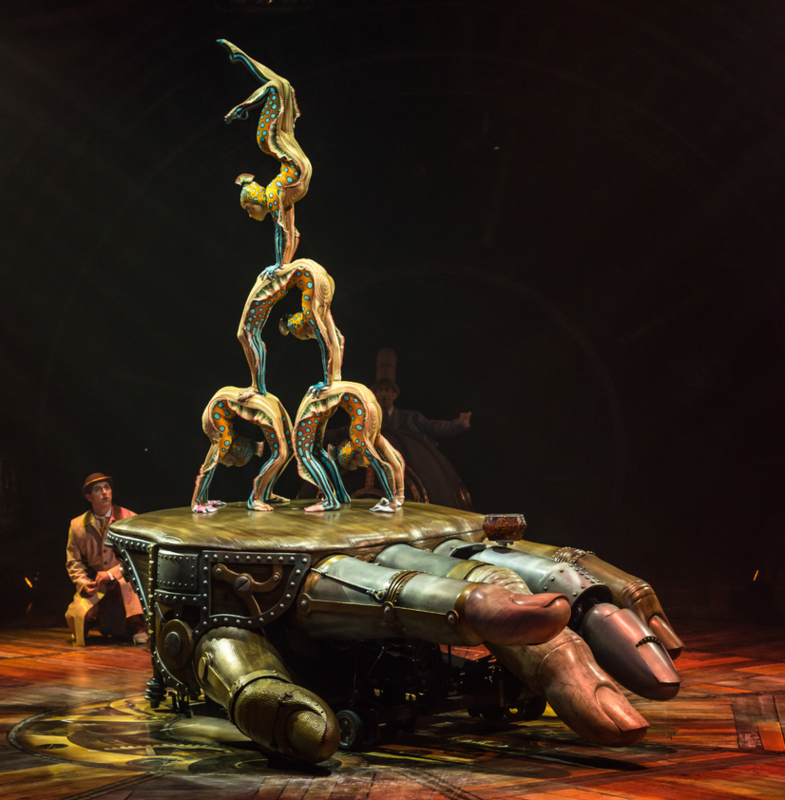 The incredibly talented contortionists are often a highlight, and these four girls were unbelievable on a huge mechanical hand that must have been about 16′ across. They are just mesmerising to watch as they pose in all sorts of weird and wonderful positions. I won’t give away too much other than to say there is an amazing Russian cradle duo, some very strong and talented, ‘Siamese Twins’ on aerial straps, a couple of absolutely gravity-defying balancing acts, and a beautiful and cleverly presented hand puppetry scene. I loved all of it! The Seeker surrounded by the cast as the show heads into the finale. 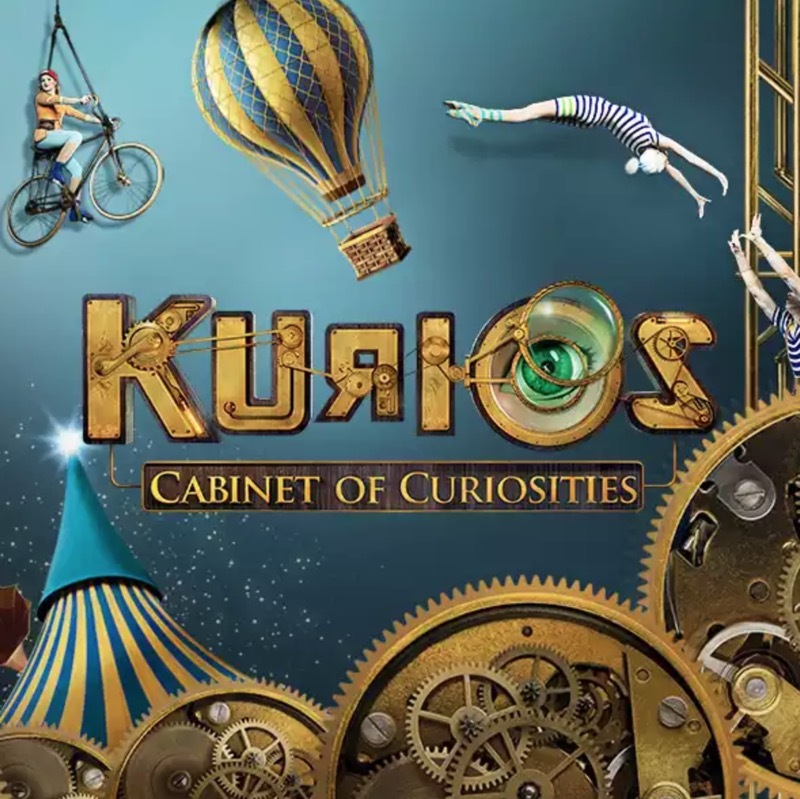 Unfortunately for everyone back home, Kurios is unlikely to be in Australia any time soon – it is currently scheduled to be in Japan for most of 2018 and 2019, but I for one will definitely be looking forward to seeing it again when it does finally come Down Under. This entry was written by borysSNORC. Tagged under canada, cirque, cirque du soleil, twavel, vancouver. Bookmark the permalink.